Autumn and winter is still a great time to go caravanning – with many sites open all year round which still offer the same facilities as they do in the summer. Heres our top 10 list of those which are caravan friendly and open all year. Imaginatively landscaped, Coniston Park Coppice Caravan Club Site in Coniston is set in 63 acres of beautiful National Trust woodland. With pitches grouped in open glades and easy access to the fun attractions of Coniston Water, the caravan park offers a scenic, peaceful base for an active holiday that will keep the whole family happy. The site accommodates its own mini adventure playground for children and additional activities within the area include cycling, rock climbing, guided pony treks around the fells and much more. The close proximity of Coniston Park Coppice Caravan Club Site to Coniston Water is a great bonus, for a short walk of 400 yards brings you to the lakeside launching point where you can enjoy watching or try your hand at a range of water sports such as dinghy sailing, windsurfing and canoeing. Coniston Pier is only 1.5 miles away. Just 3 miles south of the cathedral city of Truro with its excellent shopping centre, restaurants, museum and theatre, Carnon Downs Camping and Caravan Park offers 20 acres of beautifully landscaped grounds with spacious pitches, backed by hedges and flowering shrubs. The Carnon Downs Camping and Caravan Park is an excellent base to explore the beauty of Cornwall. Wonderful walks can be enjoyed on and from the caravan site, with the River Fal and the creek side hamlets of Penpol and Devoran just a short stroll away. Ideally located in a beautiful open country park, Ferry Meadows Caravan Club Site offers a perfect holiday destination for the whole family – there is an excellent new play area on site, steam trains, a lake you can fish in, excellent cycle and walking trails, plus every kind of sporting facility you could think of. The country park boasts two golf courses and a super Water sports Centre for sailing and windsurfing. If you’re a bird watching enthusiast, the caravan site offers great viewings from dedicated bird hides by the river, and if you’re feeling energetic there are no less than 60 miles of cycleway, all off-road. Only three miles away is the city centre of Peterborough will also leave the family spoilt for choice with fun activities like ice or roller skating, an indoor pool, a bowling alley, a cinema and theatre, tennis, badminton and snooker. Brighton Caravan Club Site is ideally located just 2 miles east of Brighton. Nestled within a fold of the South Downs and just a short distance inland from the Marina, the picturesque caravan park offers easy access to the many attractions of this popular town. Buses are regular and for rail enthusiasts the historic Volks Railway which runs along the prom will be a treat. Brighton is a classic and lively British seafront town, filled with all the attractions you would expect from a famous coastal resort. The shopping is excellent with many unusual boutiques and antique shops to browse in. The town also has an operational pier, complete with amusement arcades and some of the finest fish and chips on the south coast, and is home to the Royal Pavilion. Sandringham Estate Caravan Club Site is located in the heart of the Royal Estate and has been redeveloped to a very high standard. The caravan park boasts more than enough facilities and activities to keep the whole family happy. These include lush walking trails, a land train ride, an adventure playground and a Visitors’ Centre complete with tea room, gift shop and Royal Garden flower stall. King’s Lynn is a mere 6 miles away from the Sandringham Estate Caravan Club Site and is an attractive and historic harbour town with a great food market on Tuesdays. The caravan park gives you easy access to the lovely Hunstanton, a traditional seaside resort offering the delights of sandy beaches, candy striped cliffs and the fascinating Sea Life Centre. A great feeling of spaciousness can be found at Clumber Park Caravan Club Site, which is settled on 20 acres within a generous 4,000 acres of lush parkland, where you can walk, cycle or ride. The caravan site has a popular play area and enjoys an attractive setting surrounded by woodland. Children will enjoy Clumber Park as it is part of what was once Sherwood Forest and the reminders of the area’s most famous resident, Robin Hood are plentiful. The Sherwood Forest Visitor Centre is a mere 10 miles from Clumber Park Caravan Club Site and offers many attractions to entertain and educate about this legendary figure. The Major Oak is a must as it is said that he had hidden here, along with his merry men. The Clumber Park food festival, held in the heart of the forest, is a great opportunity to experience culinary delights and sample local beverages. The city of Nottingham is within easy reach of the caravan park. Pleasantly landscaped, White Water Park Caravan Club Site lies adjacent to the largest white water canoeing and rafting course built to an international standard in Britain. The caravan site provides easy access to all its facilities including a sheltered viewing balcony, a drying and changing room, canoe storage area, shop and cafe. The area is also famous for its International Summer Riverside Festival and its ‘Head of Steam’ Railway Museum where you can learn about ‘The Birth of the Railways’. Teesside Park is within easy reach of White Water Park Caravan Club Site and is a shopper’s paradise- with restaurants, multi-screen cinema complex and bowling alley. Birdwatchers, wildlife enthusiasts and walkers will also be spoilt for choice with over 30 miles of coastline a short drive away from the caravan park. There are numerous tiny fishing villages, traditional holiday resorts and dramatic cliffs to experience, with all the fantastic views you might imagine from such attractions. 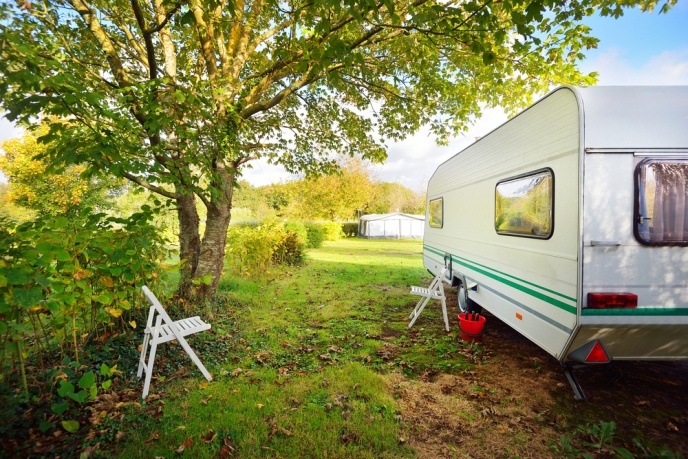 A uniquely peaceful holiday destination for adults only, Bath Chew Valley Caravan Park is ideally located in Bishop Sutton near Bath. This caravan park has a distinctive garden feel to it, with its 45 exclusive hard standing pitches being set amongst lawns, shrubs and flower beds. Top quality facilities include a luxury heated toilet block, laundry with service washes available, a dog walking area around a freshly established patch of woodland, extended lending library, Wi-Fi and Tourist Information Centre. Bath Chew Valley Caravan Park is just 250 yards from the pub and local shop, and is also an excellent base for exploring nearby Bath, with its historic spa, delightful architecture and charming shops. Bustling Bristol and Weston-Super-Mare are also both within easy reach of the caravan site, offering a wide range of popular shopping options and attractions. The nearby Mendip Hills and West Country make for a great day out and the Chew Valley Lake, a mere 800 yards away, is a haven for fishermen, bird watchers and walkers. Great care is taken to maintain the tranquil atmosphere on site so that visitors can truly relax and unwind. A popular holiday destination, York Rowntree Park Caravan Club Site offers level pitches located on the banks of the River Ouse. Some pitches have attractive hedging and glades which provide not only a scenic treat but also ensure your privacy. The caravan park is within easy walking distance of the beautiful and historic city of York and also makes for an excellent base from which to explore the Yorkshire area. York itself has so much to see and do that you’ll find the time can slip by all too easily. York Rowntree Park Caravan Club Site is ideal for those wishing to visit York Minster – the largest gothic cathedral in northern Europe. Do include a walk to the city’s medieval walls and the Shambles to get a feel of the old city with its medieval timber framed houses. Broadway Caravan Club Site is landscaped on two levels, situated on the edge of one of the loveliest of the Cotswolds golden-stoned villages. Broadway’s main street is a delight with its pretty cottages, shady trees and interesting. The caravan park offers you a truly rural treat. Among other typical Cotswold villages located conveniently close to the Broadway Caravan Club Site are Winchcombe and Bourton-on-the-Water, but visitors will have a great time exploring the area for themselves and finding many other hidden local treasures. Stratford-upon-Avon is also within easy reach of the caravan site and walkers will want to take special note that The Cotswold Way runs very close by, so don’t forget to pack those walking boots. Other nearby places of interest includes National Trust properties, steam railways and picturesque gardens.